Former Premier League defender Matthew Upson does not believe that Everton boss Marco Silva is safe from the sack. 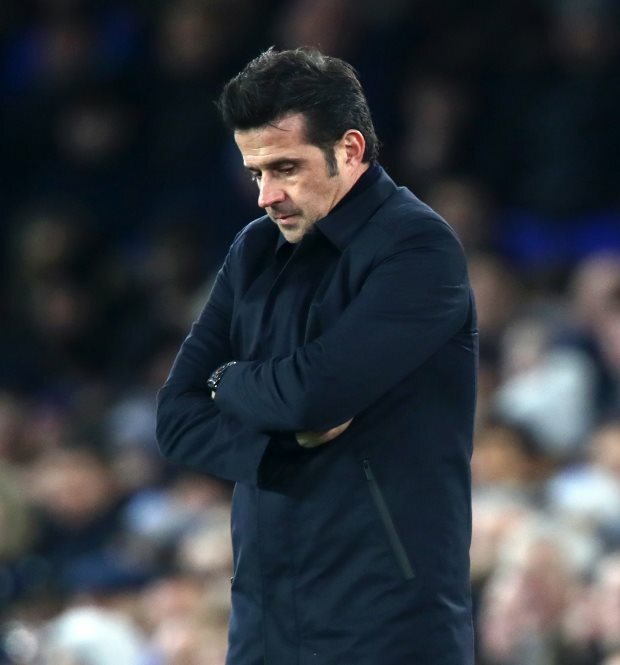 Everton went down to a 1-0 defeat away at Watford on Saturday to continue a poor run of form which has seen the Toffees lose five of their last six matches, a run which includes an FA Cup exit at the hands of Championship side Millwall. Silva has Everton sitting in ninth place in the Premier League table and, though the Toffees are comfortable in upper mid-table, Upson does not believe the Portuguese is safe from the axe. Upson said on the BBC's Final Score programme: "I don't think he is safe at the moment. "I think he's under threat, not to say that he's going to get the sack tomorrow, but I'm sure with that run and the way that they are playing – we can talk about position in the league and points and what have you – from the supporters point of view they are sitting back and watching and not being particularly happy with what they are seeing." Everton have the chance to return to winning ways later this month when they head to Wales to take on Neil Warnock's Cardiff City side. The Toffees then start their March fixture list by playing host to title chasing Liverpool in the Merseyside derby. Silva's side are 17 points off sixth placed Arsenal, meaning seventh place may represent their ceiling this term in the Premier League.